Perfect gifts and gift experiences. 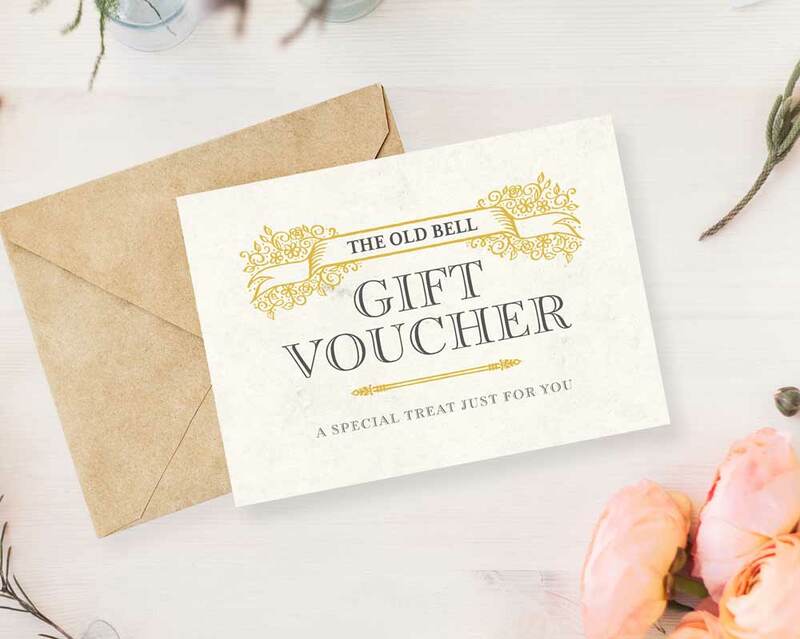 Treat that special someone to a gift card from The Old Bell Hotel. Choose from a selection of different gift experiences including exclusive food and drink offers and live entertainment and events. You can now use our gift cards in any of our bars, restaurants and exclusive events including Scrooge: A Christmas Dinner, regular comedy nights and other dining experiences. You can buy our gift cards securely online or over the bar. Make your selection from the drop down boxes below, let us know in the notes if they're for multiple gifts, along with how many presentation cards you require, and a preferred date of delivery. Your gift card will be posted 1st class within 2 working days.